Aimed at schools, environmental education program ALPHAVILLAGE is coordinated by trained monitors that give detailed information about the fauna and flora. 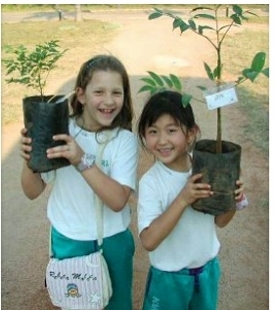 The goal is to show in practice all children learn in the classroom, how to plant and care for seedlings and trees. Besides visiting the animal conservationist breeding, the itinerary includes visits to the plant nursery, garden, organic orchard and fish breeding ponds .